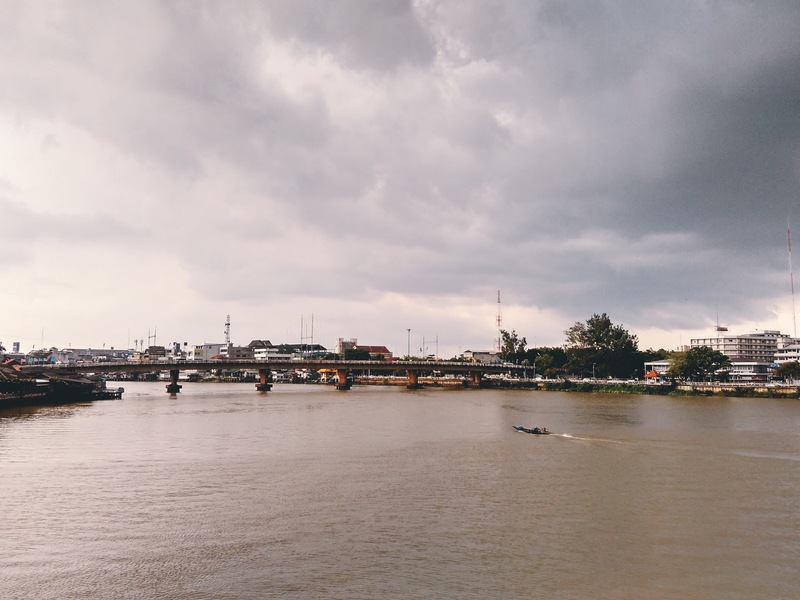 Located at the southern region of Thailand, Surat Thani is a gateway to the popular Koh Samui Island by ferry. Otherwise, this small town has little visit from foreign tourists. 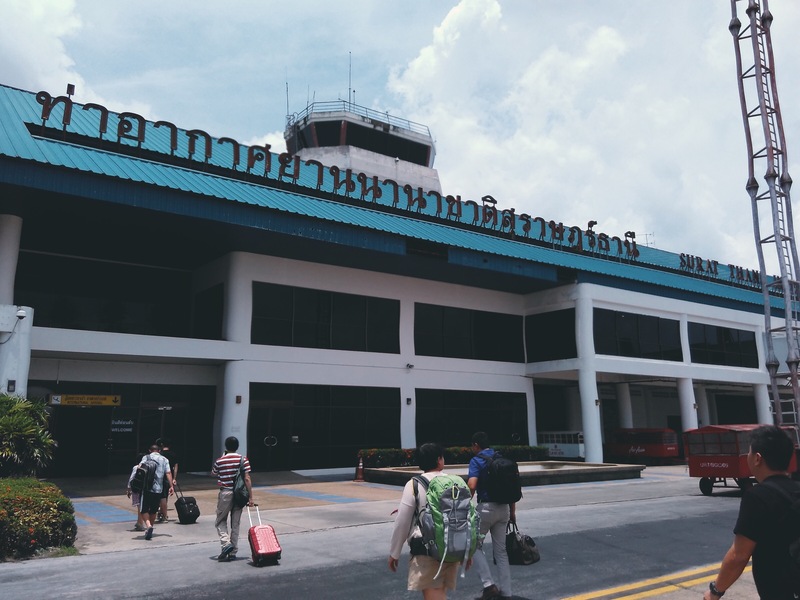 Arrival at Surat Thani Internationional Airport. 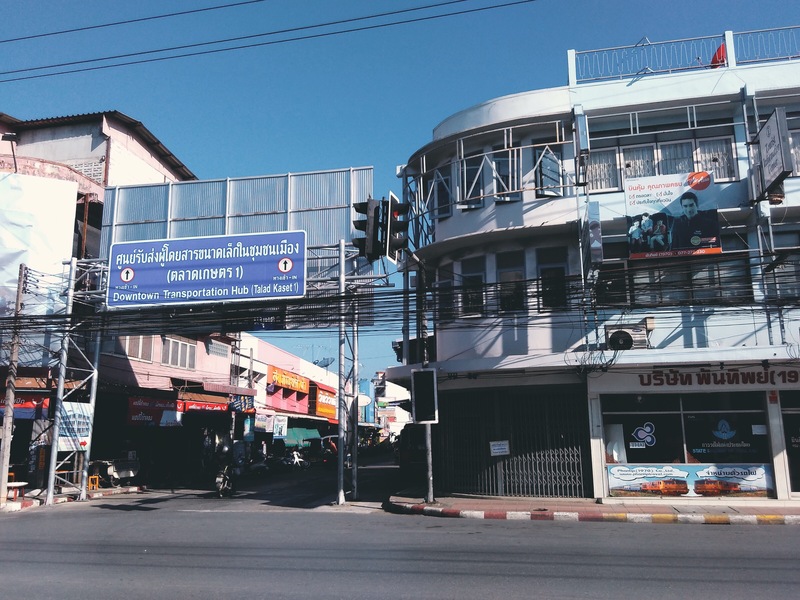 Surat Thani is a laid back town with very few high rise buildings. 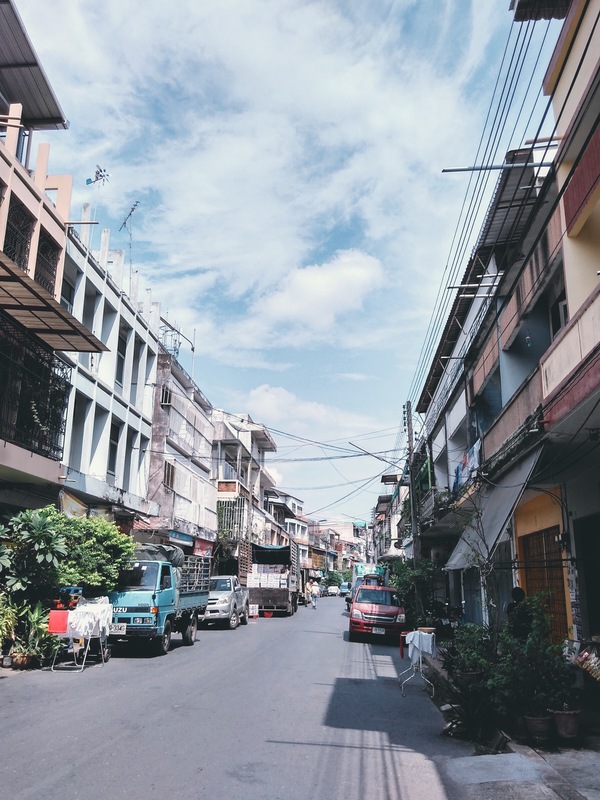 Pretty much your authentic Thai town. 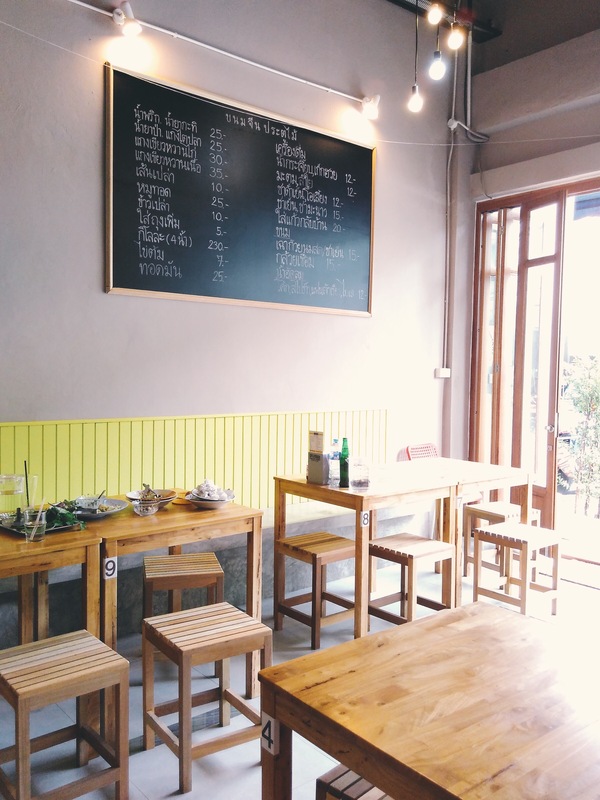 A modern cafe with no English menu. 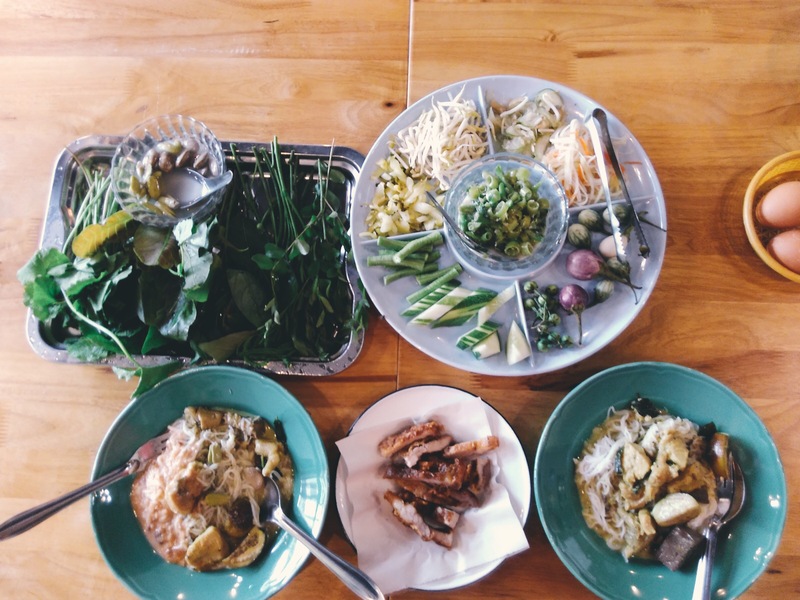 Local Thai dish Kanomjean, served with bottomless raw vegetables. View from the back of local “mini bus”. We are riding in the middle of the town and this is as busy as it gets. 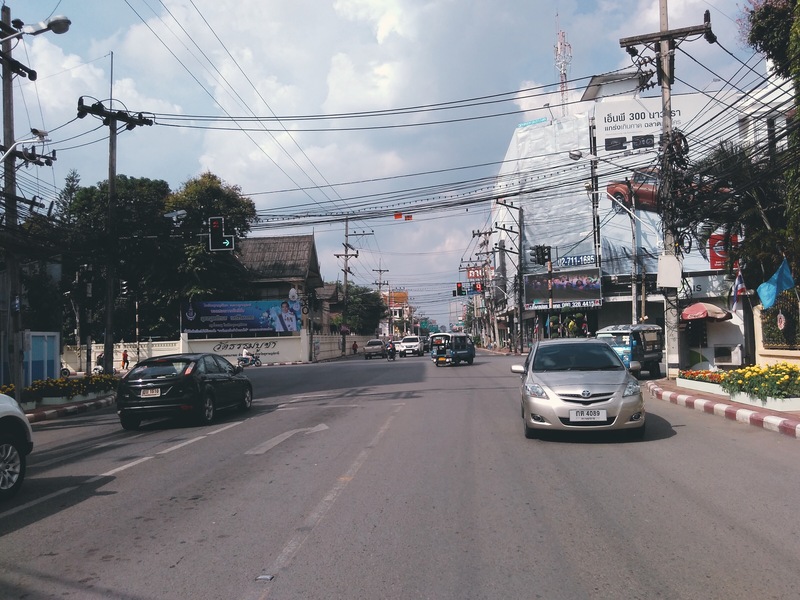 Shop lots, criss cross power cables and cars parked on the side road; This is typical view of sois in Surat Thani. Bus station, morning market and commercial retail. 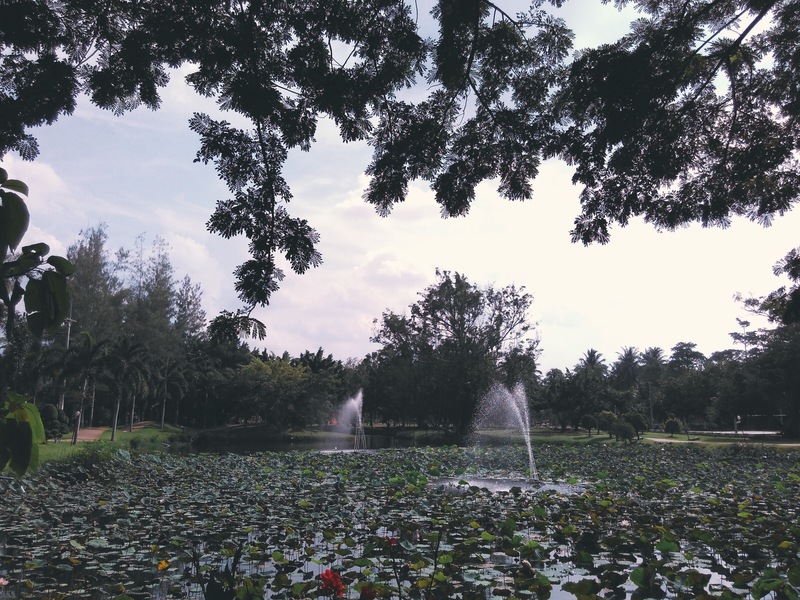 Ko Lamphu public park; an island/park about 5-10 minutes from down town. 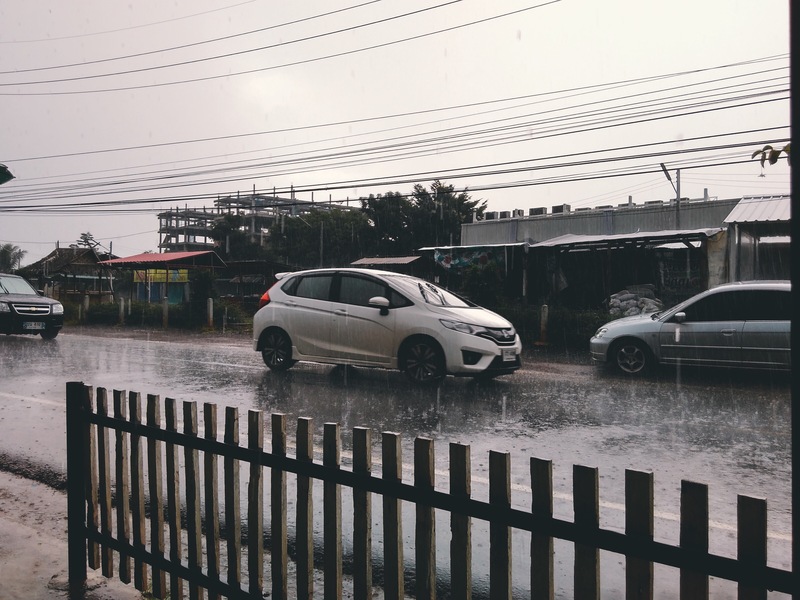 Surat Thani gives us a warm welcome with a shower to cool down the heat. 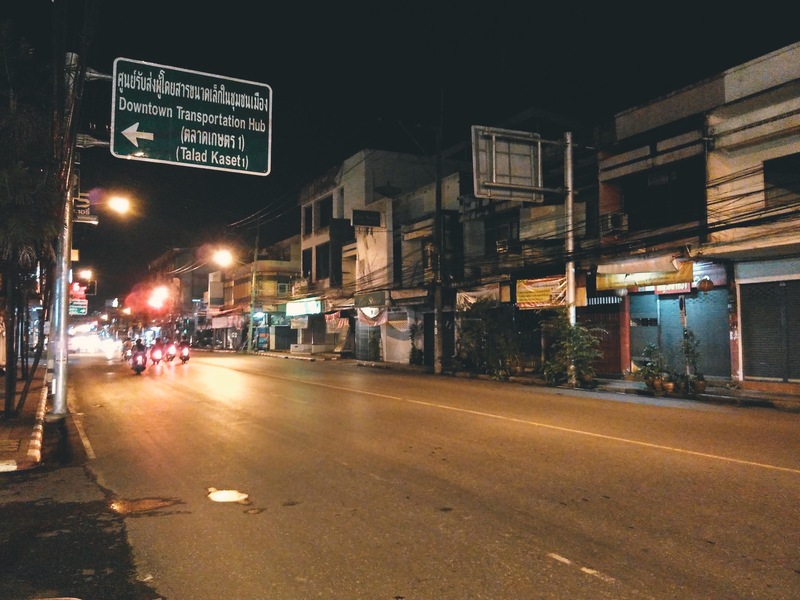 The town gets pretty deserted by sun down. Its on my bucket list!